Jesse Spencer in Issue #29 of Bello Magazine. Photographed par Alek And Steph. 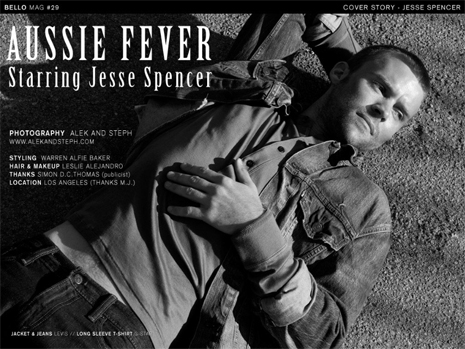 Wallpaper and background images in the Jesse Spencer club tagged: jesse spencer actor photoshoot bello magazine 29 alek and steph black and white september 2011. This Jesse Spencer photo might contain béret vert, forces spéciales, soldat d'élite, soldat d’élite, journal, papier, magazine, tabloïd, chiffon, livre, and tenue de combat.